Photography Tour: Mongolia and the Gobi Desert! Note: In 2017 Google announced that they would no longer provide support for the Nik suite of tools. That meant you can still download the latest version of Nik, but it may not work with the other software you are running. Many in the photography community were concerned because sooner or later as we upgrade our other software, Nik will cease working for us. Fortunately, a company called DxO purchased the Nik suite of tools from Google a few months after Google ceased supporting the software, and just this month DxO announced their first Nik release. Read on for more details about the Nik tools and DxO’s new release. In 2012, Nik Software, a small company known for their image processing tools that emulated the look and feel of using old film, was quietly acquired by a somewhat larger company known as Google. Google announced they were making the entire suite of Nik tools available for free to all users. As mentioned above, Google ceased supporting the Nik suite as of 2017, but the software was quickly purchased by DxO who just announced their first release. The good news is that with this new release the photography community now has a reasonable assurance that these industry-leading image editing tools will be supported well into the future. The bad news is that the Nik suite is no longer free; DxO is charging $69 to download the software. That’s still less than the $150 that Google charged users for this software prior to 2016, and it’s a very reasonable price for software of this scope and quality. For photographers who wish to access the Nik tool set and don’t already own it, or for photographers for whom the tool set has ceased working, I recommend downloading the new release from DxO’s website now, as the introductory price of $50 will increase to $69 at the end of June, 2018. For those of us who already have the software installed and for whom it’s still working just fine, I don’t see a need to upgrade to the paid version right now That’s because the new release, while more stable and better documented than the free older version from Google, does contain the same tools with the same functionality. Personally, I will choose to wait until a new O/S or Lightroom upgrade forces my hand. But I am very pleased to know that these wonderful editing tools will continue to be supported and developed into the future! Here are my notes from the past two years of using the Nik suite of image editing software tools. Its capabilities are leading-edge and would be well worth spending hundreds of dollars to obtain. It doesn’t do everything, but what it does, it does better than tools such as Photoshop and Lightroom, each of which costs a good deal of money. That Nik’s great capabilities are available for download for less than $70 is a wonderful value, and I strongly recommend you give them a try. It’s important to note that the Nik Collection of software tools is not intended to be standalone image processing software. It consists of a set of plugins, each specialized for a different specific purpose, that must be accessed by a general-purpose image editing application such as Photoshop, Lightroom, or Aperture. I use Lightroom for nearly all of my post-processing, so I used that application to access the Nik Collection. Once you have your general image editing application installed, then you can download the Nik Collection modules at the DxO website listed above. When you are working in your application of choice, you will then have access to the various Nik Collection tools in the editing menus. For example, when I select an image in Lightroom, I can access six of the seven Nik modules by pulling down the “Photo” menu and then pulling down the “Edit In” sub-menu. One of the Nik modules, the HDR Efex tool, is accessed instead under the “File” and “Export with Preset” menu choices. Explore the look and feel of classic cameras, films, and lenses. A comprehensive set of filters for color correction, retouching, and creative effects. Master the art of black-and-white photography with darkroom-inspired controls. Selectively adjust the color and tonality of your images without complicated masks or selections. From natural to artistic, explore the full potential of HDR photography. Bring out hidden details consistently with the professional’s choice for image sharpening. Improve your images with noise reduction tailored to your camera. So far, I’ve played around with just three of these tools. Silver Efex Pro did a very good job of converting my test images to monochrome. I’m pretty good at using Lightroom’s tools to convert color images to black-and-white, but they take a lot of practice to master. In Nik’s Silver Efex module I was able to make some good choices very quickly. For those who want to fine-tune their black-and-white conversions, there are very good tools for detailed control over the process. I used Nik’s Dfine module to attempt to reduce noise in a favorite shot of the Milky Way over Yosemite Valley’s Half Dome. The results of my quick trial looked comparable to what I had done in Lightroom, but I suspect if I took the time to learn the Nik tool more thoroughly, I could end up with even better results. Finally, I tested Nik’s HDR Efex Pro tool. This little gem is a joy to use. Just select the series of shots from which you want to build an HDR (High Dynamic Range) image, export them to HDR Efex, and click a couple of buttons to generate the base HRD image there. My default image looked pretty good, but the Nik tool has a wide range of presets that allow you to generate different HDR effects with the click of a button. I tried several of these presets until I found one that perfectly suited the scene. A few more small tweaks using the detailed adjustment sliders, and I was ready to save the HDR image back into Lightroom. In the past I have been very disappointed with Lightroom’s built-in HDR tools, and only slightly more satisfied with Photoshop’s HDR module, but the Nik HDR Efex Pro plugin does an amazing job. It’s both easier to use and generates better results than the other HDR software I’ve used. Specifically, the Nik tool does a much better job than the other tools at producing natural-looking colors and at removing the “ghosting” effects from when the underlying images are just a little bit different from one another. Now I’m eager to find the time to go back to some of my favorite HDR images and rebuild them using the Nik software! For comparison, here is a favorite HDR image of mine, first shown after processing in Photoshop’s HDR tools and then shown after processing in Nik’s HDR Efex Pro tools. This HDR image of Lago Grey with its glacier and the peaks of Torres del Paine National Park in Chile was processed using Photoshop’s HDR tools. The colors appear unnaturally saturated and parts of the image (especially the tops of the mountains and the brush in the foreground) show some ghosting effects. This version was processed using the Nik Collection’s HDR Efex Pro tools. The colors look much more natural and all parts of the image appear sharp and free from ghosting. I am looking forward to revisiting many of my favorite images and reprocessing them using the Nik Collection’s tools. I highly recommend this versatile, easy-to-use, and powerful suite of image editing modules. Have you used the Nik Collection for your own photography? What do you like and dislike? Please share your thoughts here. 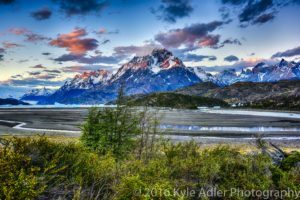 Want to read more posts about post-processing your images? Find them all here: Posts on Post-Processing. Update: Recently I updated to a new PC for my post-processing work and found that, not unexpectedly, the original free Google version of the Nik suite no longer worked with my new configuration. Finally, my hand was tipped and it was time to upgrade to the paid version from DxO. I’m pleased to report that this invaluable suite of image editing tools now works better than ever. From my limited testing, it appears to run faster and with fewer issues than before. The interface is also cleaner. And of course we can now expect better support and more frequent fixes than when the tools were given away for free. In 2017 Google announced that they would no longer provide support for the Nik suite of tools. That meant you can still download the latest version of Nik, but it may not work with the other software you are running. Many in the photography community were concerned because sooner or later as we upgrade our other software, Nik will cease working for us. Fortunately, a company called DxO purchased the Nik suite of tools from Google a few months after Google ceased supporting the software, and just this month DxO announced their first Nik release. Read on for more details about the Nik tools and DxO’s new release. For photographers who wish to access the Nik tool set and don’t already own it, or for photographers for whom the tool set has ceased working, I recommend downloading the new release from DxO’s website now, as the introductory price of $50 will increase to $69 at the end of June, 2018. For those of us who already have the software installed and for whom it’s still working just fine, I don’t see a need to upgrade to the paid version right now. That’s because the new release, while more stable and better documented than the free older version from Google, does contain the same tools with the same functionality. Personally, I will choose to wait until a new O/S or Lightroom upgrade forces my hand. But I am very pleased to know that these wonderful editing tools will continue to be supported and developed into the future! Note: Google has announced that they will no longer provide support for the Nik suite of tools. That means you can still download the latest version of Nik, but it may not work with the other software you are running; even if it works for you today, at some point in the future as you upgrade your other software, Nik will cease working for you. This is regrettable, because I still have found no other similar tools that perform as well as the Nik collection for most of its purposes. Please share your suggestions for replacement tools as a comment at the end of this post! In 2012, Nik Software, a small company known for their image processing tools that emulated the look and feel of using old film, was quietly acquired by a somewhat larger company known as Google. This past spring, Google announced they were making the entire suite of Nik tools available for free to all users. I’m just getting around to testing this suite of image editing software now, and from what I’ve seen so far its capabilities are leading-edge and would be well worth spending hundreds of dollars to obtain. It doesn’t do everything, but what it does, it does better than tools such as Photoshop and Lightroom, each of which costs a good deal of money. That Nik’s great capabilities are available for download completely gratis is a wonderful gift from the folks at Google, and I strongly recommend you give them a try. Once you have your general image editing application installed, then you can download the Nik Collection modules for free at this site: https://www.google.com/nikcollection/. When you are working in your application of choice, you will then have access to the various Nik Collection tools in the editing menus. For example, when I select an image in Lightroom, I can access six of the seven Nik modules by pulling down the “Photo” menu and then pulling down the “Edit In” sub-menu. One of the Nik modules, the HDR Efex tool, is accessed instead under the “File” and “Export with Preset” menu choices. I am looking forward to revisiting many of my favorite images and reprocessing them using the Nik Collection’s tools. I highly recommend this versatile, easy-to-use, and powerful suite of image editing modules. And the price can’t be beat. Two days ago, Google rather quietly removed a very popular feature from its search functionality. As part of a legal settlement with the powerful Getty Images stock photography agency, the search behemoth has agreed to remove the “view images” button that appeared whenever a search result included images. Clicking on this button would open the image directly in the user’s browser, allowing them to bypass a visit to the website containing the matched image. Now that word is getting out about this popular feature being removed, the Internet is up in arms, with thousands crying foul and lambasting both companies for this decision. In today’s post, I focus instead on what this change means for photographers and other intellectual property owners. And guess what? It’s a good thing, not a bad thing. The Web is a mixed bag for photographers. On the one hand, the Web offers us an instantaneous and inexpensive way for our work to be seen by potentially billions of people around the world. For professional photographers, the technology allows us to deliver work to clients, share our art, and make new sales with relatively little cost or effort. On the other hand, the Web also makes it incredibly easy for people to steal our work. I recently conducted a reverse image search on one of my most popular (and valuable) images, the multiple international-award-winning shot of an alligator with its reflection in the waters of a Louisiana bayou, and found that it currently lives in more than 300 places around the world on the Internet. A few dozen of those sites are authorized to use my image, such as legitimate news agencies reporting on my having won the awards and certain clients to whom I have licensed the right to use the image, but nearly all of the sites’ publishers are using my work without permission. In other words, they are thieves. For photographers, our images represent countless hours of hard work, the application of our talent accrued over a lifetime, considerable financial investment in gear and travel, and for professionals, our livelihood. The fact that it is convenient and easy to steal our work does not make it ethical or legal to do so. By removing a search results feature that made theft extremely easy, Google has taken a serious step toward protecting intellectual property rights. Of course it is still quite easy to grab images off the Web if you have a mind to. You can click on the “visit page” button in the Google search results, find the image on the website, and right-click on it to save it on your device. Photographers can make that process a bit harder by adding right-click protection to remind would-be thieves that the image is copyrighted, but there are plenty of ways to get around this protection. The recent move by Google therefore won’t end the problem of digital image theft overnight, but it’s a good step in the right direction. Image sharing and legitimate use is preserved, while making things just a tad harder for those who knowingly or unknowingly want to steal other people’s images off the Web. Google has simultaneously ended the “Search By Image” button that popped up when a user opened an image. I have mixed feelings about this decision, also a result of the settlement with Getty Images. While this feature could be used by thieves who want to find un-watermarked copies of photos somewhere on the Web, it’s also very useful for photographers who need to know where our images are appearing around the world. Fortunately, you can still use this feature simply by dragging the image into the search bar at the top of your browser’s screen. I hope this post from a working photographer’s perspective will help defuse some of the animus hurled against Google from angry Internet users. Removing the “View Images” button doesn’t solve all intellectual property theft in one simple move, but it is a reasonable step toward the goal of protecting image copyrights, and that’s a good thing for us photographers and, ultimately, for all users of images. Because if photographers can’t make a living selling our work, very soon there won’t be any pro-quality images out there. Do you agree with my viewpoint? Or do you have a differing opinion? Please share your comments here! Want to read my earlier post about what to do if your images are stolen? Find it here: What to do if your images are stolen. Once you have your general image editing application installed, then you can download the Nik Collection modules for free at this site: https://www.google.com/nikcollection/. When you are working in your application of choice, you will then the various Nik Collection tools in the editing menus. For example, when I select an image in Lightroom, I can access six of the seven Nik modules by pulling down the “Photo” menu and then pulling down the “Edit In” sub-menu. One of the Nik modules, the HDR Efex tool, is accessed instead under the “File” and “Export with Preset” menu choices. 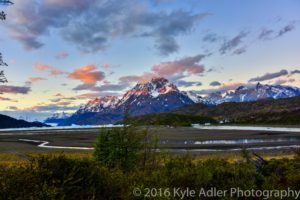 Kyle Adler on Sweet Release [Encore Publication]: What is a model release and when do you need one? Robert Giroux on Sweet Release [Encore Publication]: What is a model release and when do you need one?